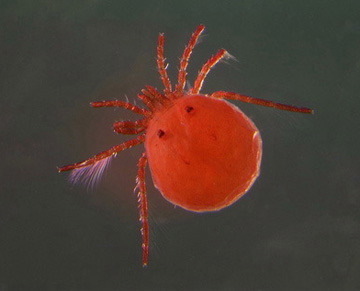 This project is a cooperative effort between the University of Arkansas and the Canadian National Collection of Insects and Arachnids (CNC) to promote education and research of the most numerous, diverse, and ecologically important group of freshwater arachnids - the water mites in the taxon Hydrachnidiae. While the water mites of North America are the primary focus, our project is intended to foster collaborative international education and research efforts as well. Water mite research began in the late 1800s in North America, and much of the historical record of knowledge of Hydrachnidiae of this continent resides in the CNC with over two million curated water mites representing populations throughout Canada and the United States. The CNC maintains a georeferenced database, over 10,000 line drawings and SEM photographs many of which have been digitized, and a library and bibliography of over 4000 related publications. This project is designed to link the knowledge and research expertise at the CNC to the University of Arkansas, Fayetteville. It is expected to facilitate the capacity to train a new generation of research professionals who can build on historical information using proven methods in conjunction with new techniques and approaches to data acquisition and analysis. Co-Principal investigators Ashley Dowling of the University of Arkansas, Entomology, Andrea Radwell of the University of Arkansas, Biological Sciences, and Ian M. Smith of the Canadian National Collection of Insects and Arachnids received the NSF Partnerships for Enhancing Expertise in Taxonomy (PEET) grant to train students in water mite taxonomy and systematics. The grant entitled “Using monographs, cybertaxonomy, and phylogenetics to train a future generation of water mite systematists (Acari: Hydrachnidiae)” provides funding from 2012 through 2016. As of January 2014, we have 3 graduate students and an undergraduate student involved in our PEETresearch. They are expected to generate many descriptions of species in the family Torrenticolidae, one of the most abundant and diverse water mite groups found in running waters. Water mites are among the most abundant, diverse and ecologically important arthropod groups in freshwater habitats like streams, rivers, ponds and lakes. Unfortunately, very little is known about water mite biology and diversity in North America, making incorporation of water mites into research programs nearly impossible. Additionally, very few water mite experts exist worldwide and few experts have been trained in North America during recent decades. This project will focus on one of the most abundant and diverse water mite families, Torrenticolidae, and researchers at the University of Arkansas and the Canadian National Collection will train a new generation of specialists by undertaking the following objectives: 1) collect, identify and describe North American species; 2) establish a modern streamlined approach to greatly speed up the time from discovery to dissemination of data through online resources and scientific publications; and 3) establish genealogical relationships between groups of water mites. Successful completion of the project will contribute in-depth understanding of water mite biology and evolution, modernize the taxonomic process, disseminate results and interactive tools to a wide audience online through a project website and train a new generation of experts. Additionally, outreach efforts will enhance the public's understanding of a part of the natural world few think about (mites) through workshops and presentations held in national parks. Lastly, the comprehensive knowledge on torrenticolids of North America will allow cross-disciplinary use of these mites in other research programs, such as those focusing on aquatic community dynamics, biodiversity and water quality bio-monitoring, all of which could have impacts on conservation status and trends in freshwater habitats. For more detailed information and supporting citations see Smith, I.M., D.R. Cook, and B.P. Smith, 2001. Water Mites (Hydrachnida) and Other Arachnids in Thorp, J. H. and A. P. Covich (editors). Ecology and Classification of North American Freshwater Invertebrates, 2nd edition, Academic Press, San Diego. Water mites (Acari: Hydrachnidiae) are the most numerous, diverse, and ecologically important group of freshwater arachnids. They are found in riffles, pools, and hyporheic zones of streams, temporary pools and permanent ponds, springs and seepages, lakes, marshes, swamps, bogs, and brackish habitats worldwide. Water mites interact with other aquatic invertebrates throughout their life cycle that includes a parasitic larval stage and predatory nymphal and adult stages. Their influence on the structure and dynamics of aquatic communities is significant but underappreciated. Freshwater-dependent animals such as mussels, crayfishes, stoneflies, amphibians, and fish are among the most vulnerable and threatened biota in North America. In contrast, little is known of the conservation status of invertebrate taxa smaller than aquatic insects including water mites. Collecting for taxonomic work during the past century in North America has indicated that water mite species have highly specific habitat and host associations and that many of them have limited distributions, but the status of populations in the United States is generally inadequately documented. A concerted effort has been made to encourage research and reporting on European fauna (see http://www.watermite.org), but few researchers in the United States focus on water mites and other small aquatic invertebrates or incorporate them into broader studies of the structure and dynamics of freshwater communities. Lack of attention to the importance of the smaller aquatic invertebrates in the organization and regulation of freshwater communities has hampered the development of comprehensive and realistic strategies to protect and conserve freshwater biota in North America. As one of the dominant groups of arthropods in many freshwater habitats, water mites have integral roles in the organization and regulation of freshwater communities. Their life cycle including active parasitic and predatory phases, tightly links them to other aquatic invertebrates. Typically, the larvae are ectoparasitic on adult insect hosts, and the nymphs and adults are free-living voracious predators of immature aquatic insects and microcrustaceans. Studies have shown that larval mites regularly parasitize adults in natural populations of aquatic insects with substantial impact on the size and structure of host populations in many habitats. Numerous laboratory studies have demonstrated reduced survival or longevity of various insect hosts parasitized by larval water mites, and some taxa show lower reproductive capacity and retarded development when parasitized. Deutonymphs and adults of free-living species prey on a wide range of small aquatic organisms, and various species exhibit both specific preferences and opportunistic choice of prey. Some water mites exhibit feeding rates in experimental studies that are high enough to be considered important influences on the size and structure of prey populations in nature. Species of water mites are specialized to exploit narrow ranges of physical and chemical regimes, as well as the particular biological attributes (including physico-chemical constraints) of the organisms they parasitize and prey upon. Consequently, water mites should be exceptionally sensitive indicators of habitat conditions and the impact of environmental changes on freshwater communities. Preliminary studies of physico-chemical and pollution ecology of the relatively well-known fauna of Europe have demonstrated that the composition of water mite communities is an excellent indicator of habitat quality. The results of these studies demonstrate that water mite diversity is dramatically reduced in habitats that have been degraded by chemical pollution or physical disturbance. 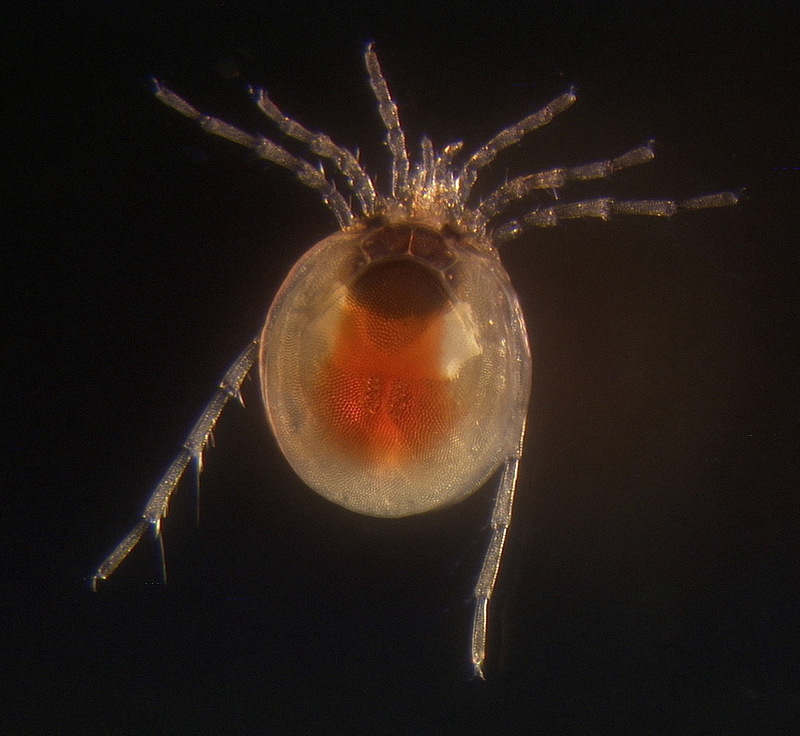 There have been few laboratory studies of the tolerances of water mites to environmental variables, although experiments could provide valuable insight into the mechanisms responsible for observed changes in species populations in stressed habitats. Over the past twenty years, the utility of freshwater invertebrates to serve as environmental indicators has received considerable attention. Protocols to assess and monitor aquatic ecosystems have been developed in North America based on the response of macroinvertebrates (mainly larval insects) to anthropogenic influences. Research comparable to the European work on the potential of water mites to serve as environmental indicators has not been done in North America, and the conservation status of water mite taxa is not known. Changes in assemblage structure and species extinction may have already occurred but have not been documented since historical information is either unavailable or unreported. Progress toward essential baseline documentation of water mite communities in North America is hampered by lack of information at the species level. Application of potentially useful information on water mites in assessing and monitoring the environmental quality of freshwater habitats and communities requires improved knowledge of the taxonomy and systematics of the group and a clearer understanding of the individual niche requirements and trophic relationships of species. During the Pleistocene, biota was displaced in North America as continental ice sheets periodically reached from the polar region to the mid section of what is now the United States. In major refugia such as the southern Appalachians and the Ozark Plateau, biotic communities have been in a constant state of reorganization and transition throughout the Quarternary. Repeated fluctuations in climate resulted in numerous distributional shifts and invasions of species that had been distributed in other parts of the continent during the Tertiary. Geological history and collections made over the past century suggest that water mite species assemblages that currently inhabit unglaciated refugia in the United States such as the southern Appalachians, the Ozark Plateau, the mountain ranges of the southwestern United States and the coastal mountains of the Pacific Rim, comprise taxa with diverse origins. These taxa include endemics that have inhabited those regions since the Tertiary, species with north temperate origins that established populations there during glacial maxima, and immigrants representing more recent interchanges of warm temperate biota. Consequently, these water mite communities are expected to have high species richness and consist of unique mixtures of species that occur together nowhere else.